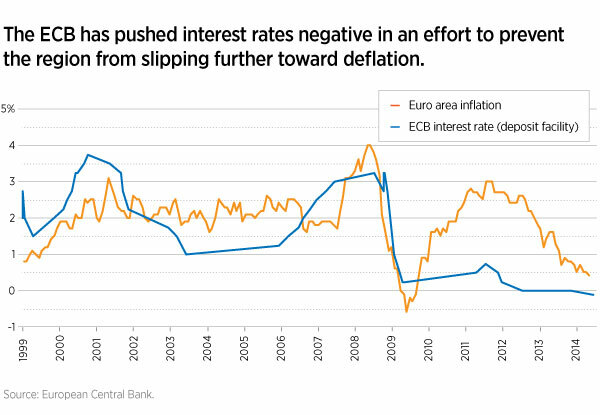 In early June, the European Central Bank embarked on what could be a series of policy decisions to stimulate the region’s economy and reduce the risk of deflation. The ECB cut its key refinancing rate to a historic low of 0.15% and took the unprecedented step of instituting a negative deposit rate of -0.10%, which would effectively charge banking institutions a fee to park money at the ECB. By making this move, the ECB hopes to encourage banks to lend more and thereby get more capital working in the economy, but it is an experimental measure that has yet to be tested on a large scale. A measure that we believe could potentially be quite helpful was the ECB’s implementation of targeted long-term refinancing operations (TLTROs), which are also designed to encourage lending and stimulate growth. In our view, ECB actions can have a meaningful impact on the share prices of banks as well as the markets in general. For equity portfolios with a pro-cyclical bias, this could translate into highly positive news. The introduction of TLTROs will allow banks to borrow funds from the ECB for four years at a very low cost. This will be especially beneficial to peripheral European banks, which have typically had to borrow at much higher rates. This will enable the banks to lend money at relatively low rates to consumers and corporate entities and still make an attractive profit on the spread between those rates and their TLTRO funding cost. A number of European banks, particularly in Spain and Italy, performed well in the second quarter — both because of the TLTRO announcement and because government borrowing costs declined during the period, which had a positive effect on the banks. At a recent financial-market conference in Madrid, many companies acknowledged that TLTROs could be quite helpful. But they also suggested there is a credit demand problem in the market — that is, too few corporations are confident enough in the economic recovery to borrow more at this stage. After all, just because the ECB has announced it is ready to hand out money at low cost doesn’t mean European corporations will start lining up to borrow. Again, the ECB is trying new measures to stimulate the economy. We consider these promising avenues but by no means a guaranteed cure. Nevertheless, if demand for credit picks up, then we think at some point TLTRO funding could become extremely attractive to lending institutions. 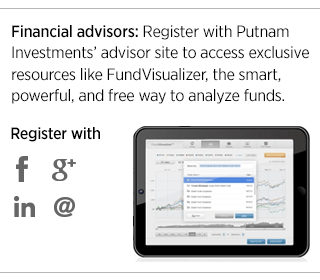 Read Putnam’s Q3 2014 Equity Outlook on Slideshare or download the complete pdf at putnam.com.